TAKING META-REALIST ALLEGORY TO NEW HEIGHTS! 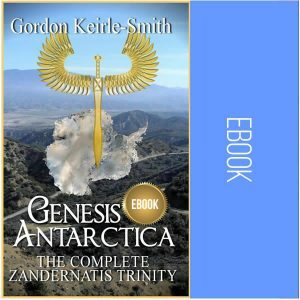 The Zandernatis Trinity, based on the ancient Haakon Urn texts discovered under the Antarctic ice in 1962, culminates with the events described in the epic “Song of Gorin” saga that shaped the future of a whole civilization – and ultimately our own. For they laid the foundations of the myths and legends from which most of the world’s folklore, beliefs and religions subsequently evolved. 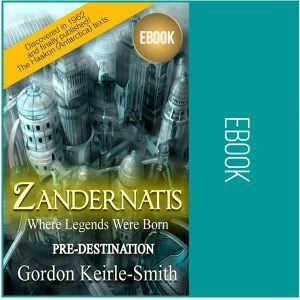 Furthermore, the unique characteristics of this new literary genre also enable us to keep pace with the fast moving events following the disclosures that burst upon the world with the publication of the first Zandernatis book, “Pre-Destination”, in April 2014. By embracing the vision, we contribute to its manifestation. In this volume, the ancient narrative relates the “Great Battle” as the Golden City is attacked by indigenes from beyond the frontiers of “Paradise” backed by their “evil allies” and Gorin’s role in challenging them. 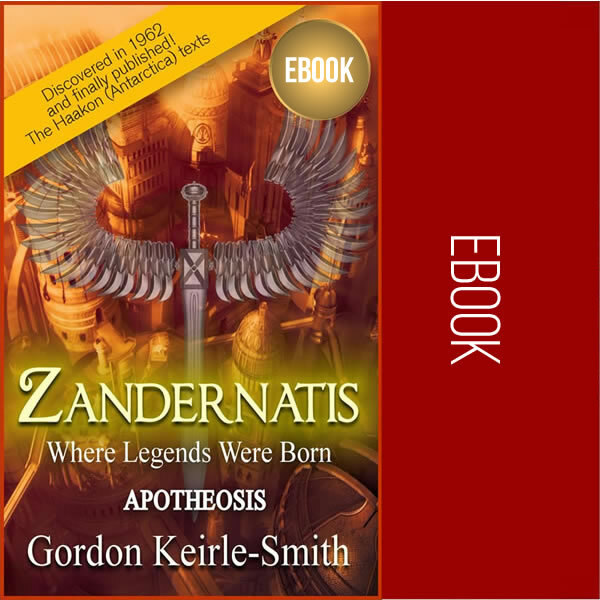 While in parallel, we learn how Professor Gregson and Gordon Keirle-Smith were finally able to publish their work and allow a secretive “Order” that had been waiting for these events to announce its presence to a needful world. Substantial “retold” extracts from the epic “Song of Gorin” saga – in which Gorin returns to the Golden City, the “Lord Protectors” are summoned to repel the forces of evil and he finally rediscovers his true identity. “Apotheosis” completes this three part viable alternative to the Genesis, Garden of Eden, Adam and Eve, Fall of Man myth. Everything falls into place with an inevitability totally in line with both this ancient civilization’s characteristic areligionism and our present need to define our own individual belief systems. 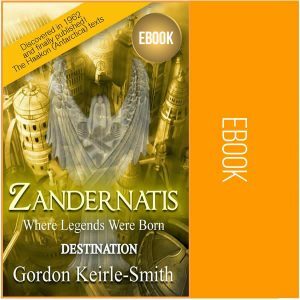 It reflects and further endorses previous statements that Zandernatis is a redefinition of “utopia” that can also set us on a path of self-discovery, opening our potential to see beyond the “here and now”, discover the “there and then” and ultimately catch a glimpse of the eternal NOW.